It’s never too late to learn new makeup skills and add some inspiration to your Makeup regime. Learn the makeup basics, advanced makeup techniques as well as tips and tricks so you can look glam any time! This is the Ultimate makeup lesson. Tailored just for you, and only with you. Book a private 1 on 1 makeup lesson and learn hands on makeup techniques and tips to update your makeup routine. Eleanor will talk through and demonstrate each technique and then let you create the look on yourself - with her guidance. As this lesson is hands on, it means we talk you through and show you the makeup application techniques, then get you to apply these techniques on yourself so you really get the hands on learning experience. Bring all your current makeup/brushes so we work with the items you have, the Eleanor Dorn Makeup line and brushes is also on hand which we then use to fill any gaps needed on the day. We always ask clients to advise if they anything specific they wish to cover in terms of makeup so we can tailor the lesson to ensure all their questions are answered. $185.00 - this includes a workshop gift pack which has Eleanor's own makeup manual, as well as some other treats! Held at Eleanor Dorn Makeup studio St Heliers, or the team can come to you (extra travel cost may encur). Why not learn with with friends? 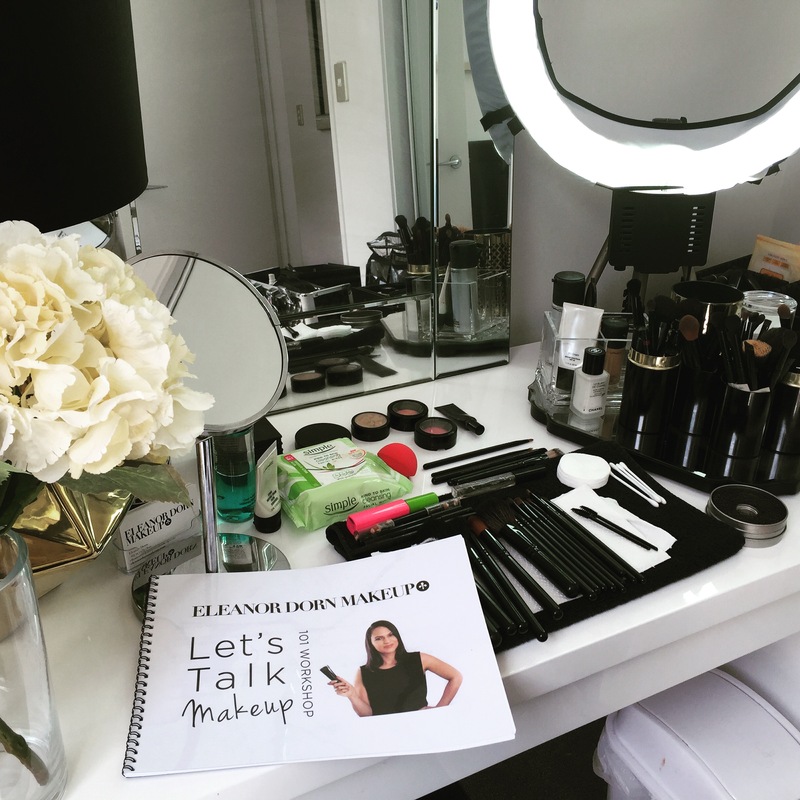 Eleanor also has group ' Lets talk Makeup' lessons.Visit Lets talk makeup for more information. Lessons can be tailored to your requirements so let us help you put together a package to help you expand your Makeup Knowledge. If you would like to make a booking please get in touch via email eleanor@eleanordornmakeup.com.